While a generic card might not do, a sincere personalized note is always appreciated. Get your favorite teacher some of his or her very own stationary. Make a gift card personal with this free printable idea. These reusable bags will let your teachers bring their lunches to school in style and help save the environment at the same time! A basket of goodies always helps a teacher feel appreciated. Many teachers buy school supplies out of their own pockets, so gifts of supplies are always welcome. Dress up the presentation by making it into a cake. Dress up that apple for the teacher idea with this elegant idea. Make homemade Christmas ornaments to help decorate the classroom. Help stock the school library with great children’s books. Don’t let your teachers down! 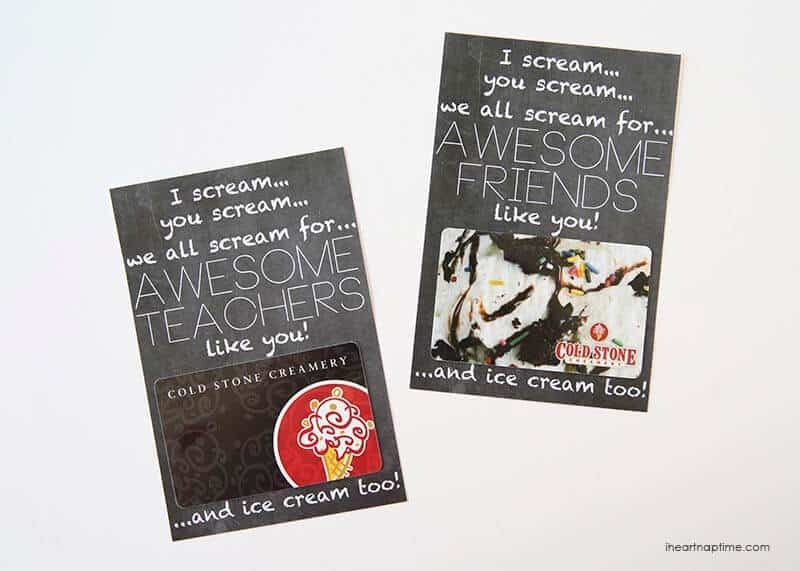 Share this page so more people have good teacher appreciation gift ideas.